The Garmin Forerunner 620 is the most advanced and latest running GPS watch by Garmin. It comes with Bluetooth Smart, ANT+, Wi-Fi, and a new mix of functionality and metrics. And when you put into consideration the new FR620’s HRM- strap to exploit the new features, you’ll find it is well worth the cash, even over the FR220 that’s about half of its price. Once upon a time if you wanted to know how far you had run you’d have to get in your car, reset your odometer, and drive your route. This was both time consuming and uncomfortable, especially with legs tight and tired from a long tough run. The times have changed, however, and now modern runners have a multitude of ways to gather and track all this information. iPhone Apps like RunKeeper can be great for runners wanting just the basics but nothing beats a dedicated GPS watch for collecting and processing massive amounts of data. Garmin has long been a leader in GPS technology and it was one of the first companies to jump into the GPS watch fray. Over the years it has continually refined it’s watches to provide high quality products for a variety of different consumers. While Garmin makes some excellent entry level offerings, the Cadillac of GPS running watches just may be it’s new Forerunner 620. 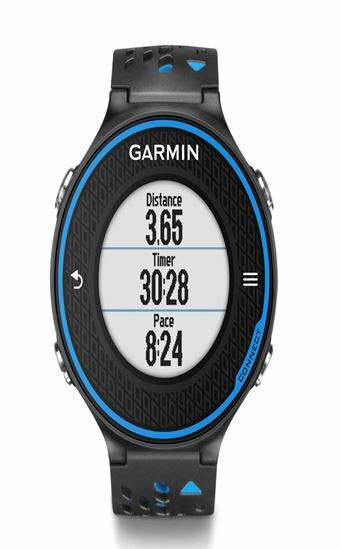 Advanced metric tracking and display: Like all GPS watches the Garmin 620 keeps track of things like speed, distance, hear rate, time, and pace while also recording your route but the 620 keeps track of a lot of other metrics as well! With the added HRM-Run monitor the watch can also track things like cadence and ground contact time to help you analyze and improve your form. The 620’s display is highly customizable allowing you to decide exactly which metrics you want to see and when you want to see them. Accelerometer for treadmill running: If you find yourself logging a lot of miles on the treadmill you’ll want to keep track of those miles as well! While other Garmin watches have required the use of a footpod to estimate pace and distance on a treadmill the 620 is able to do it using a built in accelerometer. The accelerometer works by comparing your arm motion to your pace out on the road and then Garmin uses that date to analyze and predict your pace on the treadmill. Pretty smart! If you’d like more accurate treadmill data you can still use the 620 with a footpod. It’s pretty much a virtual coach: The Garmin 620 syncs with training plans from the Garmin Connect website giving you a virtual coach right on your wrist! Choose your race distance and your goal and Garmin Connect will send a training plan straight to your watch. The watch can remind you of your workouts, help you track interval work, and even predict the recovery time needed after a run. A countdown clock will even help time your recovery between workouts! High-resolution touchscreen: The 620 features a high-resolution touch screen instead of traditional buttons making it less likely that you will accidentally turn your watch off during a workout. The touch screen can be activated even through thick gloves, which is a pretty great feature during cold winter runs! The Garmin FR 620 is a lot lighter and a bit slimmer than the Garmin Forerunner 610. This is in part, due to the fact that when placed on a flat surface, the band goes completely flush with the watch, unlike the FR610 that has a portion of its GPS antenna in that part of it creating something like a bump. The FR 620’s charger is, as you can see, entirely different from other Garmin Forerunner chargers and is also incompatible with other devices in the lineup. The FR220’s much more secure due to its firm grip/clip which makes it possible to swing it without any worries of the charger falling off, but the FR620’s charger is quite better than that of the FR610. The new HRM-Run strap is one of the most essential pieces to exploiting all the functionality of the FR620. There’s an accelerometer inside the HRM-Run transmitter pod. It calculates movement and enables new Running Dynamics metrics. All of this is added to conventional HR metrics including beats/minute. Garmin says they’re still making minor tweaks to the strap itself, though the pod is new. This is in an effort to reduce issue in HR spike/dropout. Also they have done some more work on that within the pod far beyond what is obtainable in with the HRM3. We shall now compare it with some of the other units with similar price and functionality range obtainable in the market. Recently GPS units are in about the same size arena except the Suunto Ambit 2s and Adidas Smart Run GPS. The Magellan Echo is the smallest and lightest of the bunch and depends on the GPS of your phone because it hasn’t got any GPS. Let now compare their heights. It’s about the same pattern here. The biggest units on the whole are the Adidas, Suunto and then the Timex Run Trainer 2.0. The TomTom looks thin with respect to its height but the pops up a bit because it has button wrapping around the front. Garmin FR 620 and the FR 610. Display-size wise, when place besides one another, one can hardly be distinguished from the other. There’s an added button and the touch button placement has been changed a bit. Their difference in thickness is what’s most noticeable among them. The FR620 doesn’t have any of the extra bulk that the FR610 has towards the base. This is a watch for the gear heads and data lovers among us. If you find the gathering and analyzing of data to be fun and motivating you will love this watch! 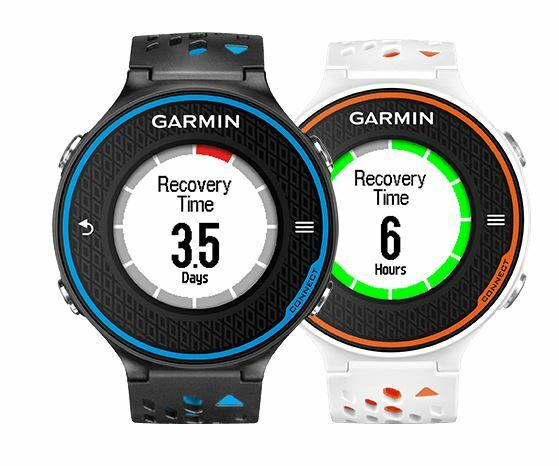 The Garmin 620 comes packed with features that can be used by both newbies and experienced runners alike to improve their speed and efficiency, assist with recovery, and keep track of their training. If tracking your cadence and VO2 really gets you going you should definitely get this watch! There is such a thing as too much of a good thing. Many runners may find all those bells and whistles to be a bit too much. There are many options out there that are a lot more cost effective and simple for the runner that just wants to track the basics like speed, distance, and route. These runners may be better served by a watch such as the Garmin 10 which costs a fraction of what the 620 does but still handles the basics very well. The Garmin 620 is a fantastic GPS watch for the person that will use it’s myriad of highly advanced features. If you are looking for a watch that will not only track your speed and distance but also help you with your form and act as a virtual coach the 620 is it! For the runner wanting to track a lot of different and complicated metrics the 620 is in a class by itself! 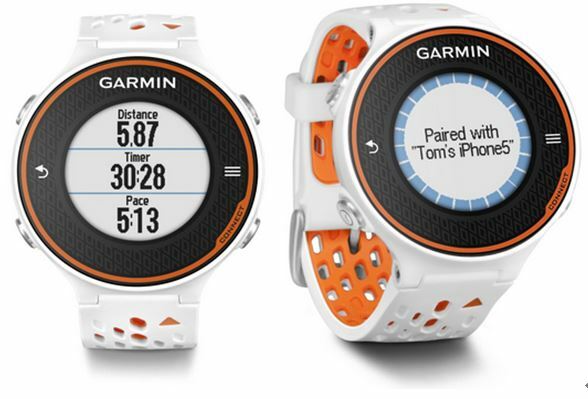 Runners who won’t use all of those fancy features may find this watch to be overkill. At $400 the 620 is not cheap but it is definitely a worthwhile purchase for dedicated runners that will put all those features to the test!